For your family, you wouldn’t want anything but the best Seattle family portrait studio, would you? Visualize how much you love your family. That’s what inspires a fine family portrait at Robertson Photography Studios. 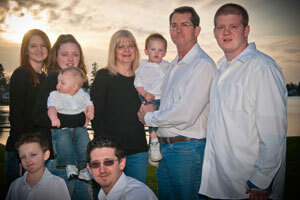 Your Robertson family portrait forever enriches your life by reminding you of just how blessed you are today. As customized fine art, your portrait enhances your home, complementing your own decor and creating warmth and character. Family and friends who visit see just what you feel for those you love most. I serve the areas of Bellevue, Issaquah, Redmond, Kirkland, New Castle, Mercer Island, Maple Valley, Covington, Kent, greater Seattle, and Tacoma including King and Pierce Counties. For an additional charge, I travel to destination spots.